Masahiro Sokabe – Head of Mechanobiology Lab, Nagoya University Graduate School of Medicine, Japan. How can cells detect substrate rigidity? After receiving Ph.D. from Osaka University, he moved to Nagoya University in 198 5 as Lecturer, and promoted to Professor and Chair (1992) at the Department of Physiology, Graduate School of Medicine. He has conducted pioneering works on cell mechanosensors, including mechanosensitive ion channels, actin cytoskeletons and focal proteins, and currently focuses on their roles in cell migration, carcinogenesis/metastasis, wound healing and gravity sensing. He is also intensively investigating the role of neurosteroids in the plasticity and neurogenesis in the brain, aiming at their clinical applications to stroke and Alzheimer’s disease. Sara Baratchi - RMIT University, Melbourne, Australia. Towards Understanding Mechanotransduction of Blood Flow. Sara received her PhD in cell biology from Deakin University, Australia in 2011. She has published over 35 papers in peer-reviewed journals and conference proceedings. 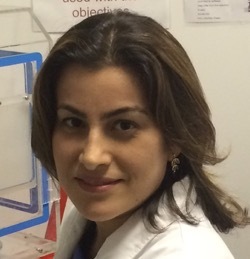 She joined RMIT University in 2012 to study the role of mechanosensitive ion channels in endothelial cells using microfluidics and super-resolution microscopy techniques. 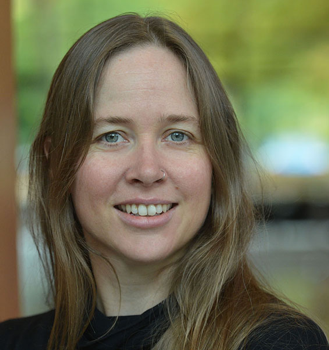 She is currently an ARC DECRA Fellow and RMIT Vice Chancellor's Postdoctoral Fellow. Her research interests include studying general mechanisms of cellular mechanotransduction, and in particular the mechanotransduction of blood flow in endothelial cells and leukocytes. Dr Kate Poole is a Senior Lecturer at UNSW. She received her PhD from the University of Adelaide in 2002 before moving to Germany to undertake postdoctoral studies. Kate is studying the role of mechanically activated ion channels in cellular sensing of physical stimuli. Kate’s research addresses how mechanically activated channels function in the interface between cells and their substrates, and how manipulation of these signal transduction pathways impacts the homeostatic maintenance of cartilage and melanoma progression and metastasis.